1. Cheap flights Semarang - Jakarta: start at MYR 168. 2. Cheap flights Yogyakarta - Jakarta: start at MYR 172. Looking for a cheap flight from Solo to Jakarta (SOC-JKTA)? Flights fares for Solo to Jakarta start at MYR 145.00. Find the best and cheapest flights on this route and other relevant information. Before you book a flight you can use Utiket to find the cheapest flights from Solo to Jakarta for Garuda Indonesia, Lion Air, Batik Air, Wings Air, Citilink, Sriwijaya Air. All flight data are real-time and accurate. Utiket finds all the cheapest flights from Solo to Jakarta. On average the flight time between Solo and Jakarta is about 1 hr 0 min. There is no time difference between these cities. The timezone for both cities is: UTC +07:00. The local time now: 01:23:54. There are 6 airlines flying from Solo to Jakarta. Weekly there are 127 flights between Solo to Jakarta. The earliest flight from Solo to Jakarta is at 06:00. The cheapest price for flight from Solo Jakarta is MYR 145.00. Solo's (Surakarta) Adisumarmo International Airport (SOC) is a medium-sized airport with several flights daily to Jakarta, Surabaya or Makassar as well as several international flights to Singapore and Kuala Lumpur. It used to be the sole international airport in Southern Central Java, until the upgrading of the Adisucipto International Airport in Yogyakarta and the Achmad Yani International Airport in Semarang. 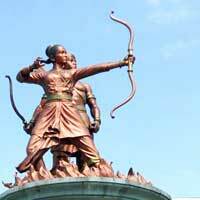 Find cheap flights to Solo or read more about Adisumarmo International Airport. 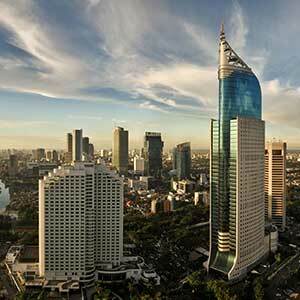 Which airlines have direct flights between Solo - Jakarta?